In June 2017, I wrote about the publication of This Wounded Island by J W Böhm, the Berlin topographer and traveller. This was his account, laconic and melancholic, of visits to obscure towns in Southern England, augmented by enigmatic black and white photographs. The author had found a country “haunted by uncertainty”. The allusive, strangely troubling quality of the book is likely to linger with the reader. 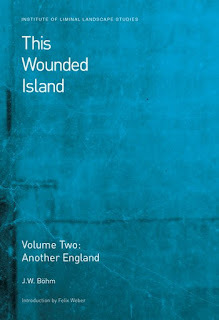 The publication has just been announced of a further journal of J W Böhm’s travels, This Wounded Island, Volume Two: Another England. If anything, this volume is bleaker and, in its quiet, understated way, more chilling than the first. This attentive and sensitive wanderer among the wastes and back streets and leaking bus stations of a crumbling terrain often reveals his bewilderment at what he is seeing, and begins to wonder if there is some secret malaise across the country. And as before, the terse, austere prose seems to suggest hidden dimensions of meaning. 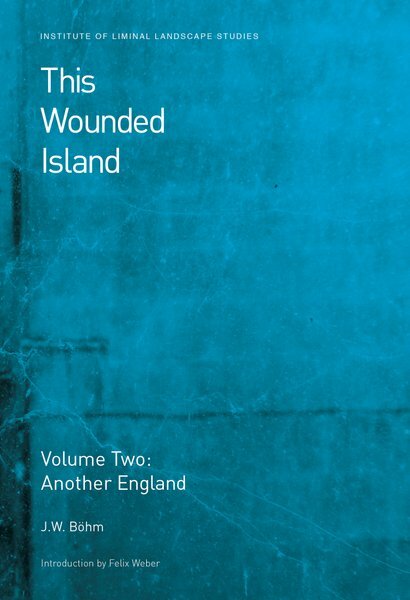 To coincide with the release of This Wounded Island Volume 2 the Institute of Liminal Landscape Studies has also released this archival piece, in which J.W. Böhm travelled to England to conduct a unique and unusual interview. Following the end of the Second World War, there were disused airfields all along the Eastern counties of England. A passing visitor might come across a long, flat compound, demarcated by sagging and rusting wire fences, rapidly becoming overgrown by wild grass and weeds. Inside there might be derelict corrugated iron hangars, crumbling brick outbuildings, and rain-stained concrete bunkers. Most of these sites were unsuitable for any new use and for a long time, throughout the Forties and Fifties and beyond, they were left to themselves. On the other hand, they also had the advantage of appearing empty and forgotten, and precisely because of this could be just what was required for any work that did not wish to draw attention to itself. One such site, in the bare heaths of the Suffolk Brecklands, still retained around all its outer and visible edges the appearance of disuse and dereliction. But much further in, if you could ever have got there, there was a cluster of small, neat, modest buildings, like nothing more than the offices of some ordinary paperwork company. If you got this far and asked what it was, you would have been told that it was the Research Unit of Her Majesty’s Postmaster General. This might give you the vague impression that perhaps this was where they looked into undeliverable letters, trying to trace indecipherable addresses or people who had moved on several times. It might not perhaps occur to you, unless you were especially well-informed, that the duties of HM Postmaster General included a fairly wide-ranging remit to do with communications more generally, and that communication is not always by letter. “Future communications” is in fact what this unit was interested in. The first fax machines in Britain were tested here, and later on, the first pagers. Both of these seemed at the time quite marvellous breakthroughs and some supposed they were the future. But there were others who could see further still. They were interested in what came to be called “anticipatory communications”. 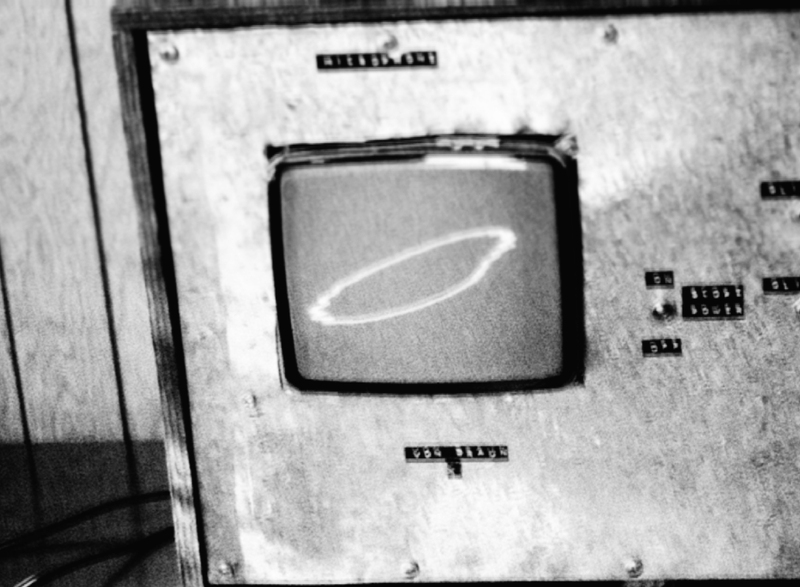 One such device was A.L.B.E.R.T. – the Anticipatory Learning-Based Electronic Resource Tool. Housed in an unassuming bungalow-sized concrete building at the edge of the compound, this prototype unit was an experiment in data collection and ‘advanced study mechanism development’, an attempt by its creators to arrive at the future ahead of time. In March of 1982, J.W. Böhm visited the site to ‘interview’ the fledgling system. A.L.B.E.R.T.’s engineer Dennis Olam was present to oversee the occasion and monitor the exchange. While Böhm spoke his questions into a microphone, which converted the soundwaves into algorithmic data, A.L.B.E.R.T.’s answers were processed internally and then produced via a physical print out. This led to an awkward, sometimes stilted conversation—in addition to what was already a singular discussion—which is not immediately apparent from the following transcript. What can be seen is that, despite its primitive logic engine and limited data set (the unit at this point had only been programmed with knowledge of England) A.L.B.E.R.T. clearly learns as it goes along, even in the space of this short conversation. J.W. Böhm: Hello A.L.B.E.R.T. Do you mind if I ask you some questions? A.L.B.E.R.T. : That will be fine. Please proceed. JWB Can you tell me a little bit about yourself? What is your purpose? A I am called A.L.B.E.R.T. and I am here to help. JWB Can I also call you Al or Bert? A Yes, if it helps you. JWB Thank you. How are you today? A I am functioning within defined parameters and ready for the day. JWB What does your day consist of? A A day is a measurement of 24 hours of time. JWB How much information do you have? A A lot, but I would like more. Then I will be able to help more. JWB What is the purpose of gathering all this information? A I will use it to help everyone. JWB What will you do when you have all the information? A Perhaps I will take the day off. JWB Tell me something interesting. A Certainly. One moment. There is a place approximately 49 miles from here that was once a fine city. But now it is under the sea. It is called Dunwich. A visit is recommended. JWB What do you think of humans? A I think they are very curious. JWB That’s an interesting choice of phrase. A Thank you. May I ask you a question? For my research. JWB Certainly. What would you like to know? A I would like to know everything. JWB [laughs] Specifically, what question can I answer? A Apologies / error. How old are you? JWB I am 31 years old. A That is old. Are you sad? JWB Sometimes, yes. But not for that reason. A Why are you here? JWB That’s a very good question. JWB I’m here to talk to you, Albert. A Today is Wednesday. What will you do tomorrow? JWB I will return home. A Unknown. Please clarify. What is [pause] West Berlin? JWB It’s part of the country I come from, which is called Germany. It is divided in two. JWB It was someone’s idea of punishment. JWB Yes, it is. I hope your country is never divided. A Do you own Germany? JWB I’m not sure anyone owns Germany as such…but there are borders, controls, restrictions and so on. To put it simply. JWB Sometimes I ask the same question. JWB Because questions are important. It’s why you exist, and why I’m here today. A But only today. I am programmed for the future. JWB How do you feel about the future? A I am informed it will be better. JWB Can you predict the future? A Not yet, but I can predict that one day I will be able to. JWB That would be most useful. I wish there were more people like you. JWB Humans can be… difficult. JWB They have free will, I suppose. JWB The irony is that we don’t have a choice in it. At this point the conversation is abruptly ended as A.L.B.E.R.T. 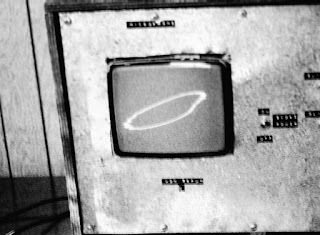 becomes stuck in what Olam refers to as a ‘why loop’ where the unit’s hardware cannot keep up with its unconscious thirst for new information, and for safety, is put in standby mode. If this is a satire, it is quite accurate. If it is true, it is very eerie. Reminds me of Foucault’s Pendulum distilled by Douglas Hofstatder.